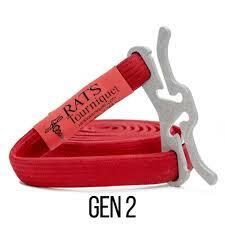 The RATS tourniquet is one of the most popular and advanced tourniquets on the market due to its ease of use. RATS Medical’s mission is simple – Provide fast, easy-to-use and completely effective gear that the ordinary person can use efficiently during extraordinary circumstances. The Gen 2 RATS Tourniquet sol purpose is to stop the bleeding. The number one cause of death among combatants and outdoor enthusiasts is trauma and blood loss. The RATS Tourniquet uses the simple combination of a three finger loop, trucker’s hitch, and tight but closely spaced wraps to stop the bleed and save yourself, or others. Use it in the dark, under stress, and one-handed. The best way to tactical carry the RATS Tourniquet is with the Beez Combat Systems TQ pouch GRIDLOK. The TQ pouch is 100% laser cut pouch that was designed to carry the RATS Tourniquet. The use of laser cut materials and GRIDLOK provides the lightest weight tactical TQ pouch on the market made for the RATS Tourniquet. 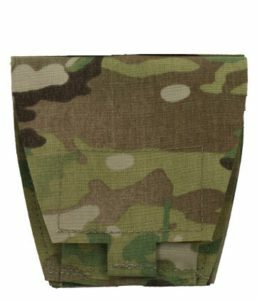 The tactical TQ Tourniquet pouch is available now in Multicam, Coyote, Ranger Green and Black. In the challenging career field of Law Enforcement dependable tactical gear is of the upmost importance. 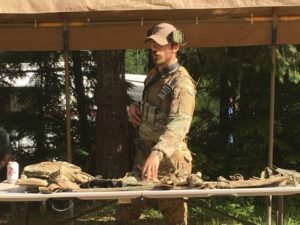 This being said, in order to complete the job of a law enforcement officer the tactical gear being utilized must have a reputation of reliability all while maintaining a low profile design. 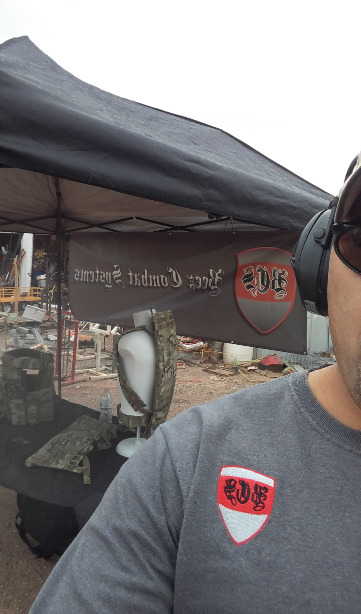 Beez Combat Systems’ has done just that with their GRIDLOK line of pouches. Specifically the handcuff pouch, pistol magazine pouches and of course the TQ pouch. The handcuff pouch designed by Beez Combat Systems includes a universal fit handcuff pouch with the GRIDLOK mounting ability. GRIDLOK utilizes a laser cut design that allows the law enforcement officer the ability of load-bearing capabilities without having to purchase from another tactical-gear manufacturer. During an apprehension, whether it is an actual arrest or a temporary detainment, a handcuff pouch must be within hands reach without ever taking eyes off of the perpetrator. That being said, Beez Combat Systems includes an enlarged pull tab on the handcuff pouch allowing the officer easy accessibility when making an arrest. The handcuff pouch mounts securely to either a chest rig, duty belt or plate carrier and comes in a variety of colors that law enforcement personnel will benefit from. A Velcro fastener via a closed top design allows for the handcuffs to remain secure to the body during a physical apprehension if the suspected perpetrator decides to resist arrest. The low profile design of the handcuff pouch also provides the law enforcement officer with a zero visibility approach when making contact with potential criminals. 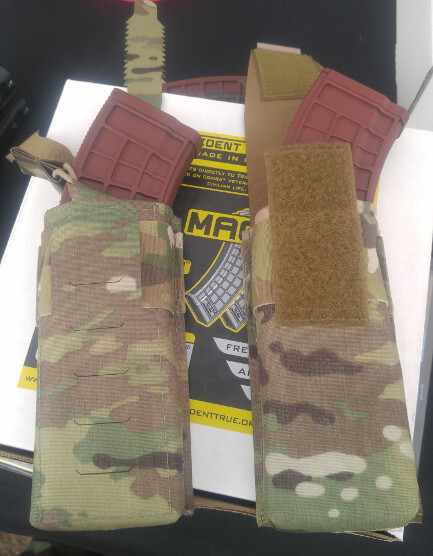 Beez Combat Systems has designed two pistol magazine pouches under the GRIDLOK line that provide law enforcement with both the open top and closed top design. The closed top design protects the pistol magazine against common weather elements such as rain, sleet, snow and hail. The open top design includes a bungee retention strap that allows for law enforcement personnel to quickly withdraw the magazine in case such a need arises. Both pistol magazine pouches from Beez Combat Systems on the GRIDLOK line include a low profile and zero visibility design. The GRIDLOK mounting ability provides both security and ease of mind so that the law enforcement officer may be able to reload his or her sidearm in a crisis situation without ever having to break eye contact against the threat. GRIDLOK pistol magazine pouches by Beez Combat Systems are available in a variety of colors that suit the different uniforms of specific units within Law Enforcement such as SWAT, Hostage Negotiations and Gang Enforcement Units. In today’s world Law Enforcement are expected to have basic medical training. This includes applying basic first aid, CPR and of course tourniquets. 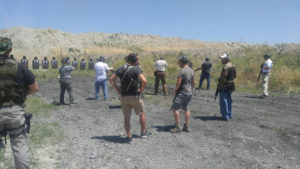 Many states have in fact passed laws that require law enforcement personnel to have deescalation training so that in case their firearm is ever used they can apply the proper first aid care to ensure that the criminal has his or her day in court. This requires innovative tactical gear in order for a law enforcement officer to properly perform their duties. Beez Combat Systems has done just that by providing the GRIDLOK TQ Pouch. The Beez Combat Systems GRIDLOK TQ Pouch can hold one of the CAT style tourniquets or the RATS style tourniquet. With this innovative tactical gear Beez Combat Systems has ensured that law enforcement personnel can complete their duties regarding deescalation tactics as well as applying first aid to dangerous criminals once the threat has been eliminated. The GRIDLOK pouch line is now available. 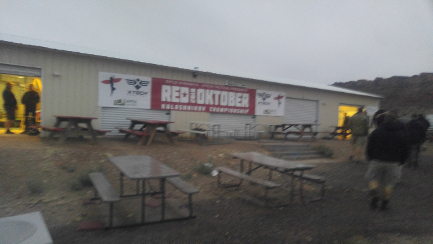 This years Red Oktober was an amazing event and the foremost Kalashnikov sporting/cultural gathering in the nation. This was the third year and the event has only gotten bigger. We were located in between 1,2,3, and 4 stages. It was a good location and had a lot of cross traffic. 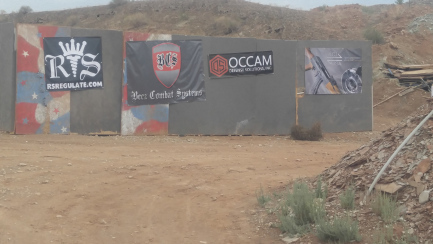 It was nice being located close to the ammo supply guys as well. There were many amazing sponsors that came out and supported this awesome event. 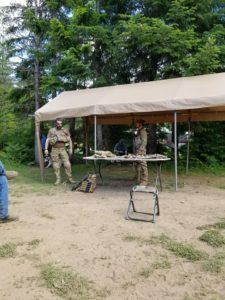 I had a chance to get this pic of one of our standard AK47 chest rigs molle and one of our new AK47 chest rigs GRID side by side. It was cool to see one of our original AK47 chest rigs still going strong. 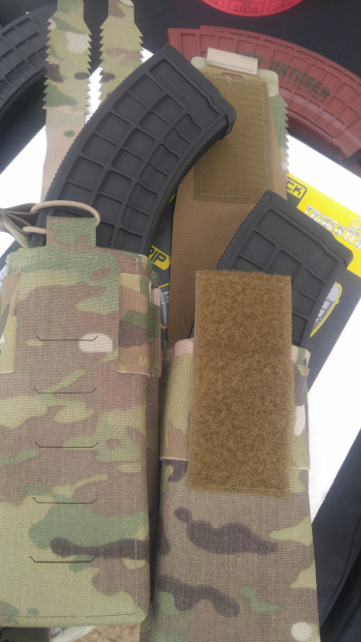 We also had the opportunity to show off our new GRIDLOK pouch line. Those Xtech AK47 mags fit nice in our GRIDLOK AK47 pouches. We also got to show off our new TQ Tourniquet pouch. This TQ pouch will hold the CAT and RATS style tourniquet. It is the newest pouch to our GRIDLOK pouch line. Don’t miss this event next year. 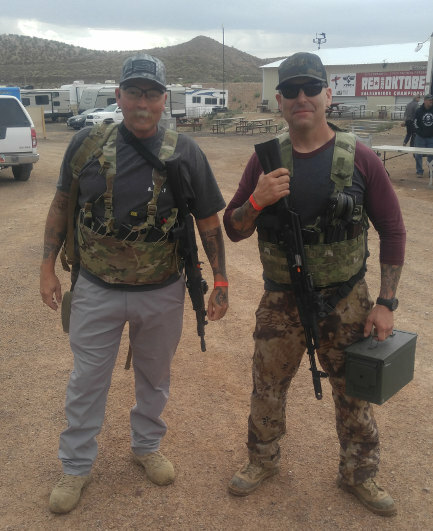 We had a chance to catch up with XTech Tactical at RedOktober 2018 and get our hands on their AK47 magazine. 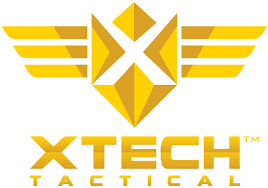 XTech Tactial are developers and makers of the most advanced AK47 magazine on the market. The MAG47 is the strongest polymer AK47 magazine to ever be made in the USA. A stainless steel cage reinforces the locking lugs and the feed lips where strength is mission critical. This magazine holds 30 rounds of 7.62 x 39 ammunition and feeds it flawlessly. We did a quick fit check and the magazines fit like a glove in the Beez Combat Systems AK47 Open and Closed-Top pouch GRIDLOK. 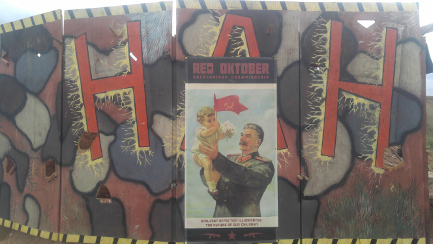 XTech made a special edition of their magazine for the Red Oktober 2018. If you are looking for the most advanced AK47 magazine and AK47 pouch systems. XTech Tactical and Beez Combat Systems have you covered. The Beez Combat Systems AK47 open and closet-top pouch GRIDLOK line is now available. 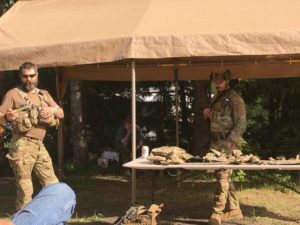 Available to the US Air Force Security Forces is our BALCS SF Multicam/OCP , American Sentry GRID Multicam/OCP and the Plate Carrier SF Multicam /OCP. All three carriers meet the demands of the US Air Forces Security Forces. 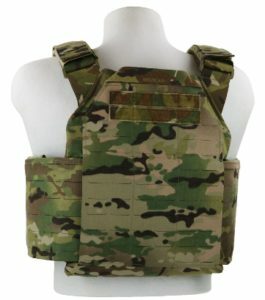 If you are looking for a Body Armor carrier or Plate carrier in Multicam/OCP we have multiple options. Please send us an email. Few, if any firearms have influenced the course of history more than the Kalashnikov series of assault rifles. Easily manufactured, tough as nails, simple enough for any conscript soldier or freedom fighter to operate, the AK is the most popular combat rifle in the world. 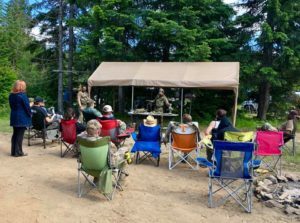 Unfortunately, the American AK is left behind when it comes to fun competitive shooting matches, in modern 3-Gun and Carbine matches it is simply outpaced by high-speed and highly modified AR-style rifles. 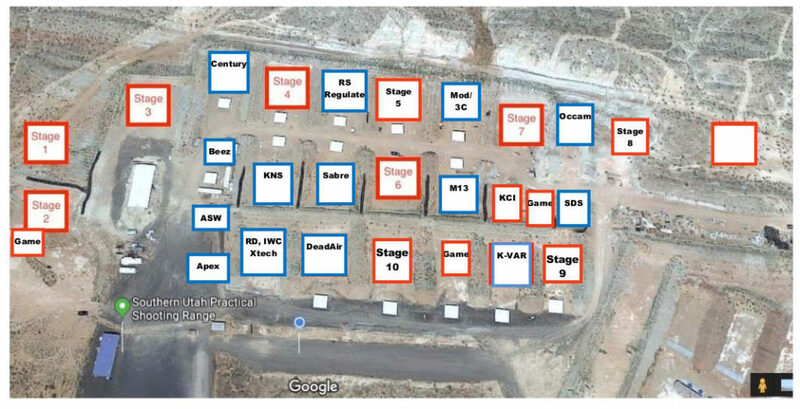 Come by and visit (Next to stage 1, 2, 3, 4). If you are attending stop by and see our new laser cut AK GRID product line. 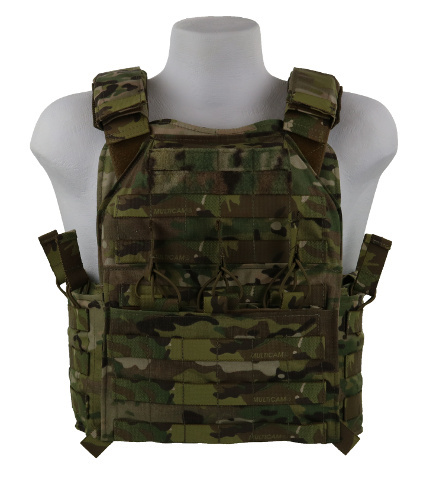 The most advanced Plate Carrier with laser cut Grid, HEXCEL padding and ROC buckles on the market. Built with 500D cordura, GRID and ROC 80 buckles. ROC buckles are used on the cummerbund and make getting in and out of the PC easy and quick. The inside has HEXCEL padding for additional air flow and comfort. The back of the PC has a low profile drag handle and loop ID field. 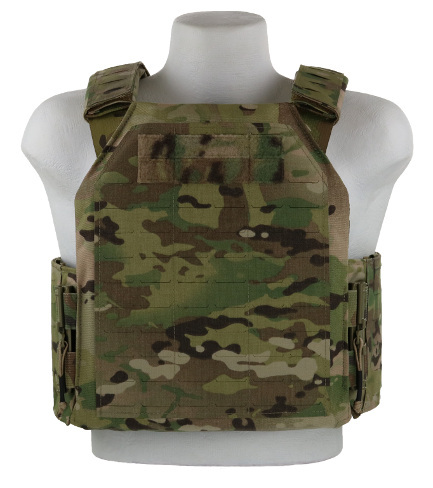 The American Sentry Plate Carrier GRID ROC is currently available in Multicam, Coyote, Black and Ranger Green. 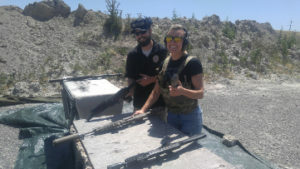 Law enforcement, military and security career fields employ women that require reliable combat gear to fit their unique physique. Sadly, many manufacturers tailor their equipment toward male body shapes of average and above-average size. 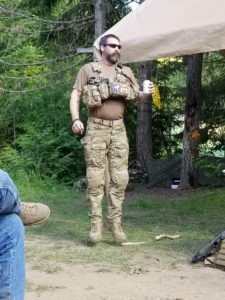 Beez Combat Systems’ low profile combat gear is designed to provide near zero visibility when worn in conjunction with the proper load-out required for duty. 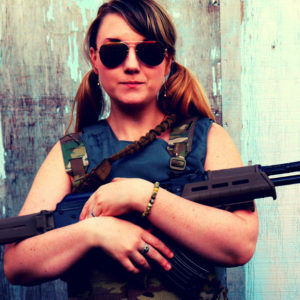 Regardless if a “fight-light” load-out is needed such as body armor or if a primary and/or secondary weapon is needed with additional magazines, Beez Combat Systems’ combat gear will comfortably fit the female warrior. 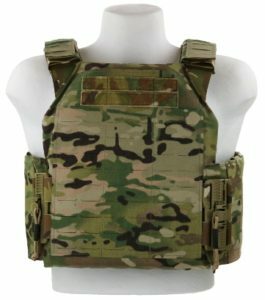 Low profile plate carriers such as the Beez Combat Systems Extreme Concealable Plate Carrier (ECP) and the Extreme Lightweight Plate Carrier (ELPC) are perfect for undercover operations or for field duty in which zero visibility is necessary. 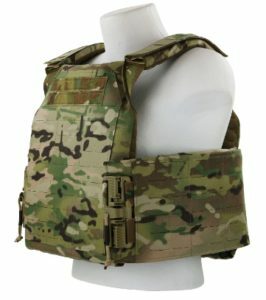 The female warrior especially benefits from these two low profile plate carrier options as the shoulder straps are fully adjustable and the elastic cummerbund easily configures for both warm and cold clothing. 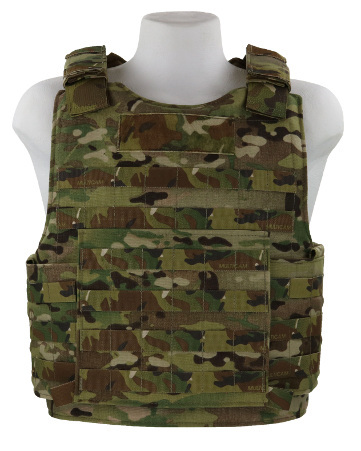 The Beez Combat Systems ECP and ELPC plate carriers can be worn both underneath and over clothing. 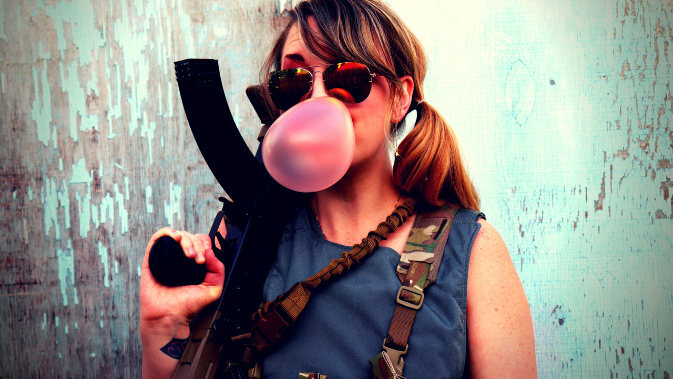 Load bearing options are available for the female warrior if a load-out kit is desired that requires additional rifle and pistol magazines to be within arms’ reach. 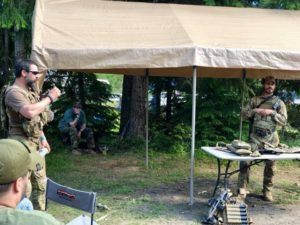 Traditional MOLLE webbing can be chosen however, for a lighter and more reliable load-out Beez Combat Systems’ GRID combat gear is highly recommended. 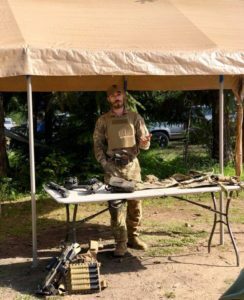 GRID combat gear is laser cut which reduces the overall weight of the gear by providing the load-bearing “real estate” within the material itself. This also allows for increased security for load-bearing equipment as traditional MOLLE webbing is sewn into the material providing less security and overall material-strength. 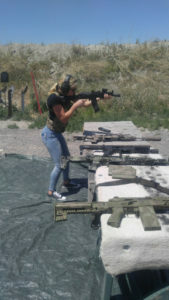 A variety of load-out options are available from Beez Combat Systems pertaining to the female operators selection of weaponry. For example, AR magazine shingles are available for common military and law enforcement operations as well as even AK magazine shingles. 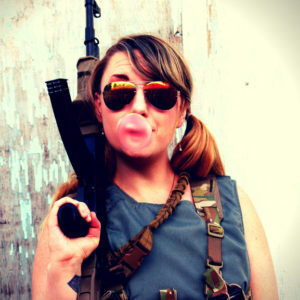 However, most female operators prefer a lighter load-out in which their unique physique will remain comfortable from any obstruction. 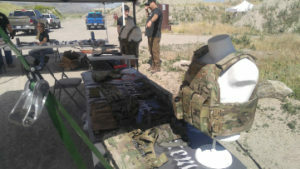 For this a low profile plate carrier is recommended underneath a chest rig specific to their primary service rifle. 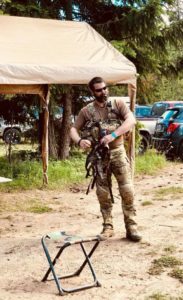 Pictured above is the AK Chest Rig GRID in Multicam. 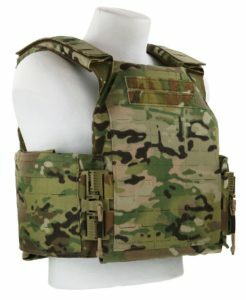 This specific AK Chest Rig GRID features a three magazine load-out, unique to the female warrior. 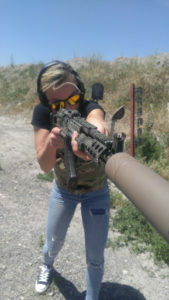 Although options for a larger magazine load-out are available, the three magazine load-out offers a lighter option and most comfort for women.